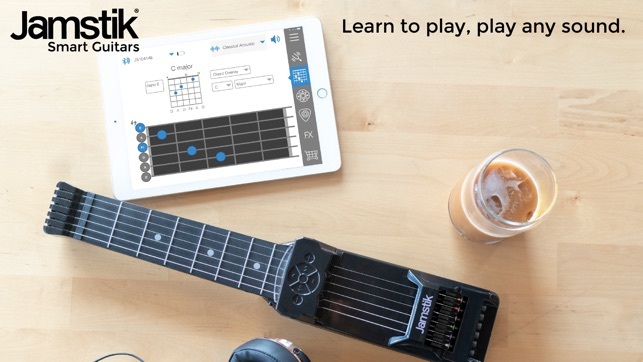 Jamstik is a brand of portable, app-connected (MIDI) guitars that have revolutionized the guitar learning experience, while opening up musical possibilities for guitarists and producers. 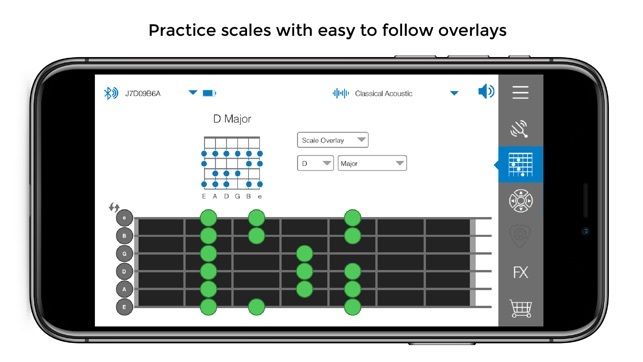 This app supports the original Jamstik+ and Jamstik 7 Smart Guitars. 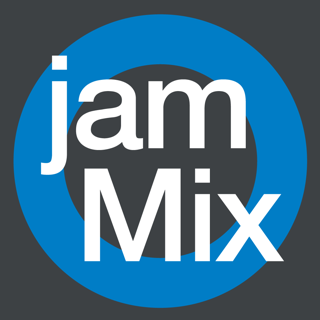 Jamstiks connect wirelessly to iPad® iPhone® and Mac® and work with a multitude of music apps for beginners and pros alike. The Jamstik senses where your fingers are before you even pluck a string which makes learning incredibly intuitive via our included guitar teaching curriculum. 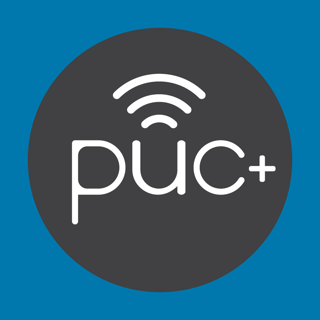 It’s always in tune and is a breeze to connect wirelessly with your device via Bluetooth LE. The Jamstik is more than a guitar. It’s also a MIDI controller, which means it can sound like almost any instrument you can think of. It’s also portable enough to put in your backpack, carry-on luggage, or briefcase so you can play anywhere. 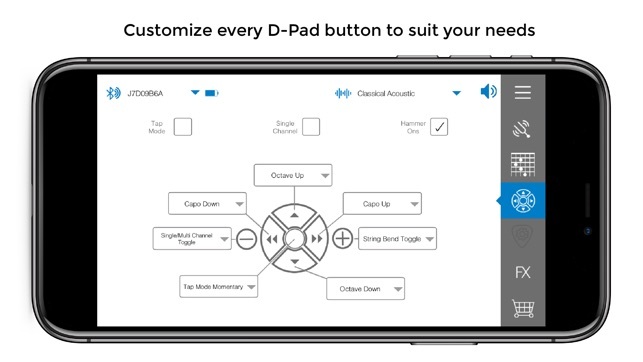 Jamstik is the official companion app designed to establish your iPad/iPhone connection to the jamstik device. 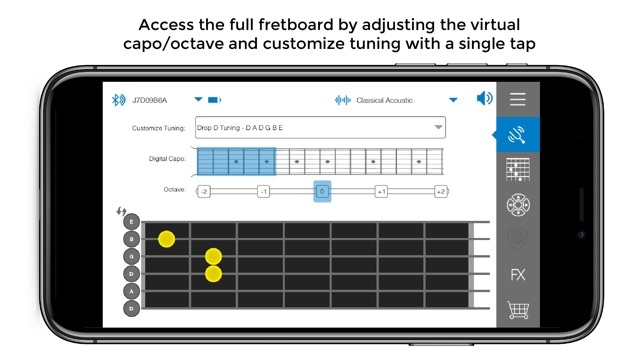 The Jamstik app also monitors your product for battery status, firmware updates, and connection protocol selection. 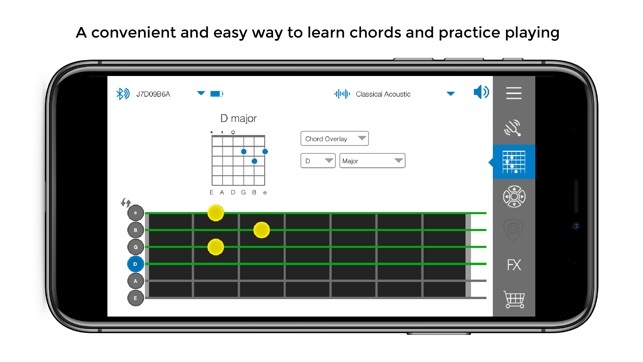 To begin your guitar learning experience, please search for and download the, "JamTutor" app for iOS. 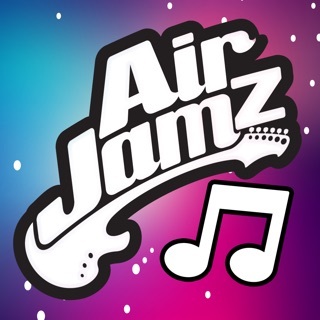 App Name changed to Jamstik to encompass all Jamstik models. Updated to work with the Jamstik 7 Fret Edition. The only problem with this app is that it makes you think of the potential it could achieve. 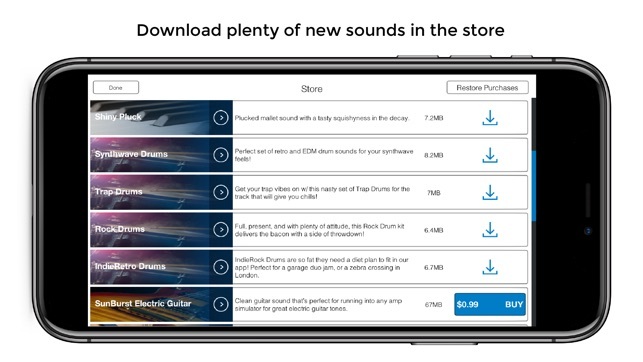 For example, having preset tunings is great, as there is a great range... but of course as any musician would want, there aught to be the ability to create individual custom tunings. Having programmable hot keys is AWESOME, how about “whammy bar”, wah wah, FX, vibrato, sustain, or diminish options for the big ol “mute button” sitting right there where an FX or pedal button should be? Overall, a great interface with the jamstick. Really looking forward to future options!!! The latest update keeps working on the background even when the guitar is not connected. I noticed that my battery was being drain continually, at first thought I just forgot to turn off the screen or I forgot to charge my iPad but it kept happening, the battery was drain in less than 8 hours. So I checked the battery consumption and there it was, jamstick, background activity 80% battery consumption. How? What is it doing? This guitar has been a pain from day one, and unfortunately the apps that came with it are just as bad. Save your money, buy a real guitar and pay $80 for a year of Yousician. 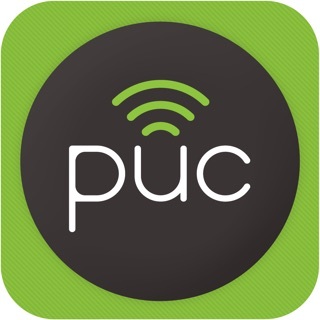 Loved the app! The initial setup with Jamstik+ was seamless. 5 stars!